And on his birthday too! 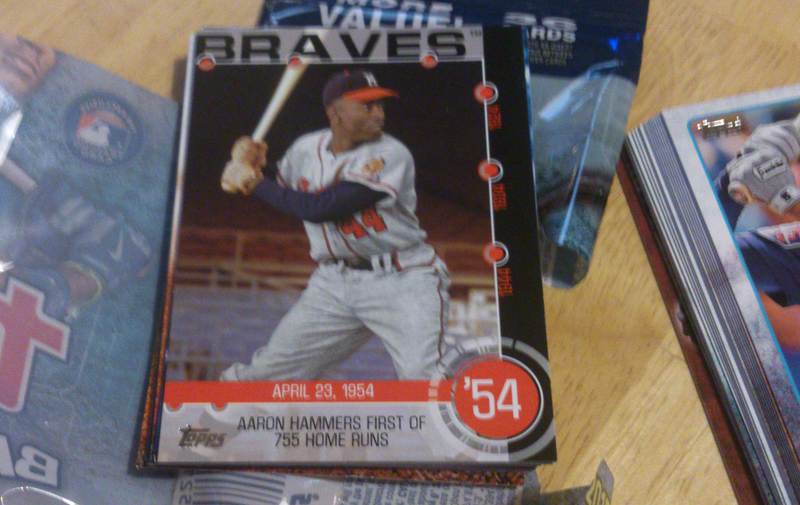 I've opened four of the $4.99 hanger packs, 36 cards each, and I didn't pull a single Brave. 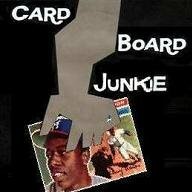 On the other hand, I have a 48 Bowman Sain coming in the mail tomorrow. A Hammerin' Hank and a pony in the same post. Life is good. I pulled a Hank on his birthday, too. Hey, Thanks to you very much.Nice of this.